Harriman, TN (August 23, 2016) Southern Gospel trio, the Joyaires of Harriman, TN are pleased to announce that longtime vocalist Anna Brooks will be joining Ernie and Debbie Peters in full time service to the Lord. While the Joyaires have maintained a full time schedule for years, Anna has also held a full time job. 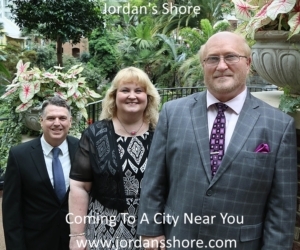 This move will allow the Joyaires to expand their ministry, enhancing their ability to travel and minister across the country in concerts, revivals, camp meetings and other events. In welcoming Anna to this full time position, the Joyaires are inviting pastors, promoters and others in the industry to reach out and discuss supporting the group as they move forward in ministry. The Joyaires can be reached at 865-435-6147, or 865-250-6417. They can also be found on Facebook, as well as online at www.joyaires.com. 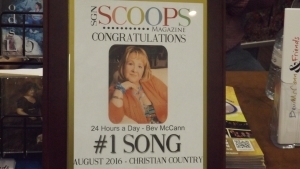 Pigeon Forge, Tennessee (August 17, 2016) During The Christian Country Expo 2016 Shellem Cline & Rob Patz Announced That Bev McCann Had Won The Number 1 Song For The Month Of August For The SGN Scoops Chart For Her Song “24 Hours A Day”. Bev Who Thought The Song Was Number 2 For The Month Of August Was In Complete Shock When She Heard The News That Her Song Was In Fact The Number 1 Song For The Month. When The Award Was Given To Her All You Could Hear Was Her Screaming Through Out The Whole Building. 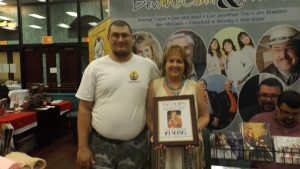 Dahlonega, Georgia (August 16, 2016) Karen Peck and New River is gearing up for one of the most exciting events taking place in Tennessee this fall, the Gatlinburg Gathering. 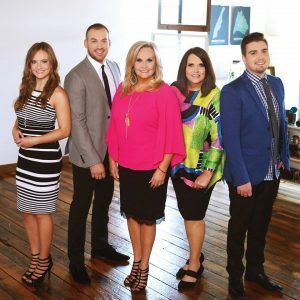 This year’s event starts Wednesday, August 17th through the 20th in Gatlinburg and has become a perennial favorite for Gospel Music fans as well as those who love to hear renown speakers share the Word. The location lends itself to a family friendly environment that allows attendees to enjoy the shopping of Gatlinburg as well as Pigeon Forge. They also have many fun family attractions and sights to keep the parents, children, and grand-parents entertained between concerts. Jefferson, Georgia (August 12, 2016) Ever growing in popularity, The Pruitt Family, has recently released their first Lyric Video and it is available on YouTube.com. 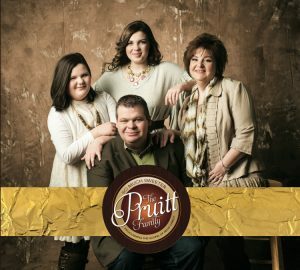 Always staying on the cutting edge, the Pruitt Family has joined the progressive thinking artist in Gospel Music with this new form of presenting the Gospel message. The new video produced by Sight of Canaan Productions can be viewed here: https://www.youtube.com/watch?v=A8XxWmHC5ds&feature=youtu.be. Stanford, Kentucky (August 11, 2011) The ICGMA (International Country Gospel Music Association) recently honored Jim Sheldon, The Positive Cowboy, with 5 nominations at their 60th Annual Convention and Awards Show. Nominated for the Album of the Year, Male Vocalist of the Year, ICGMA Award of Excellence, Video of the Year, and TV Show of the Year, Jim came home with big TV Show of the Year Award. 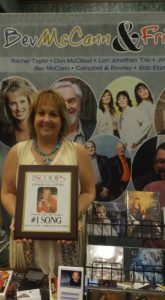 The Music City Show, a creation of Jim Sheldon and Scott Godsey, is a nationally distributed television program. Jim Sheldon says, “I am extremely honored to accept this award for the MCS. We all have worked very hard and we all feel very blessed to a part of something that is making a difference. I give God all the Glory for giving me the opportunity to do what I do. I want to say Thank you to all of you that voted for our show we are blessed. Scott Godsey and Bev McCann along with Tim Lovelace and all the folks that work so hard to put this show together for our viewers, I know we all feel very blessed and honored to do what we do. Staying Positive for Jesus. Now in its 60th year of existence for the ICGMA, it is the oldest Country Gospel Music Organization in America. 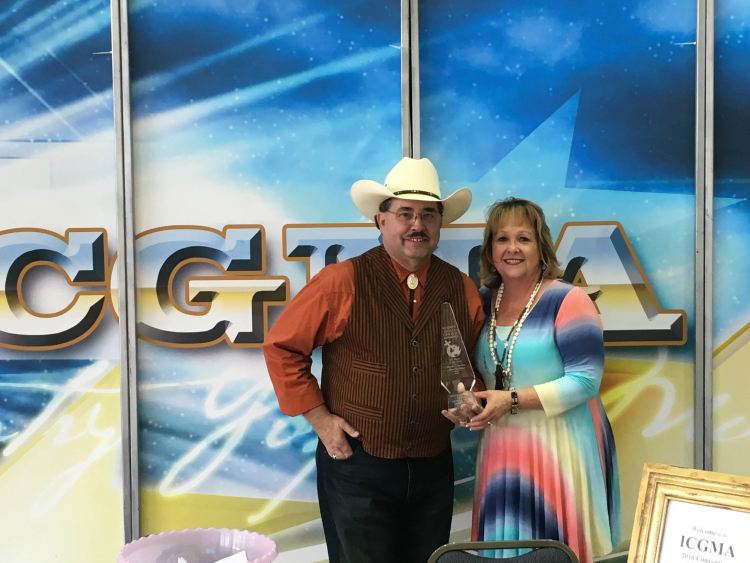 Throughout these many years, Artist, Fans, and Industry alike have found the ICGMA a wonderful place of fellowship, friendship, and ministry, as they have worked together to advance this great musical art form, and to build the kingdom of God. Dr. W. Lindsey Thompson and Billy Holcomb founded the I C G M A (International Country Gospel Music Association). They had a strong vision to unite those who loved and ministered in the Country Gospel Music field. They felt by uniting and working together with artists from all over the world, they could form a bond and build a music industry that could truly spread God’s message of salvation through the Country music that so many love. They knew that good Christian music can sometimes reach a soul when nothing else can. They had a vision to have a music ministry association with great integrity, high moral standards, and that would be open to everyone, not just an elite few. The culmination of these ideas are ICGMA Awards.